In this issue, our interviewee for the American Dream profile is the psychologist Claudia Brandão Braz, a licensed marriage and family therapist. She shares a little bit of her journey in the United States, and her challenges, and reveals that among the many life lessons she carries with her, one is that amid great storms, there is always a new tomorrow if you believe and fight. Claudia’s story, as she says, is one quite atypical and different from the many stories she is used to hearing. She is from Bahia, a state located in the northeastern part of Brazil on the Atlantic coast, and she met her husband, who is American, in Brazil. They dated for two years and were married. Nevertheless, they both faced the common dilemma in the lives of couples from different countries: where are we going to build our lives together? They opted to live in the United States. Claudia arrived in the country in 1999 and recalls that the adaptation process was not easy: “I am very close to my family and it was painful how much I missed them.” Different from most immigrants, however, Claudia had the privilege to travel often to Brazil and enjoy every moment with her family. After a few years, her first and only child was born, Marcelo. He is 12 years old now and makes his mother very proud. That was a difficult period in her life. She had to juggle between attending school to study psychology, taking care of her household chores, raising her son and work. “I didn’t have any family member here, and I had to do everything on my own. I used to spend nights awake studying and running all over to assist my son. It was not easy. Many times, my parents, even though they were in Brazil, helped me. But I was always confident that things would work out in my life,” she shared. With a lot effort and determination, she graduated with a Bachelor of Science in Psychology degree from the Maryland University, and never stopped studying. She got her Master’s in Marriage and Family Therapy from Fairfield University, and she is always participating in seminars and trainings, including courses at Harvard University. Claudia’s passion for her work and her concern for people’s well-being is tangible. “I have always taken a role to protect people that have needs and assist the underprivileged. I have that on me to help others. My father was my inspiration because he was very poor and needy and that had a great impact in my life. I have a commitment to help people in need of support and information about their rights and duties,” she explained. 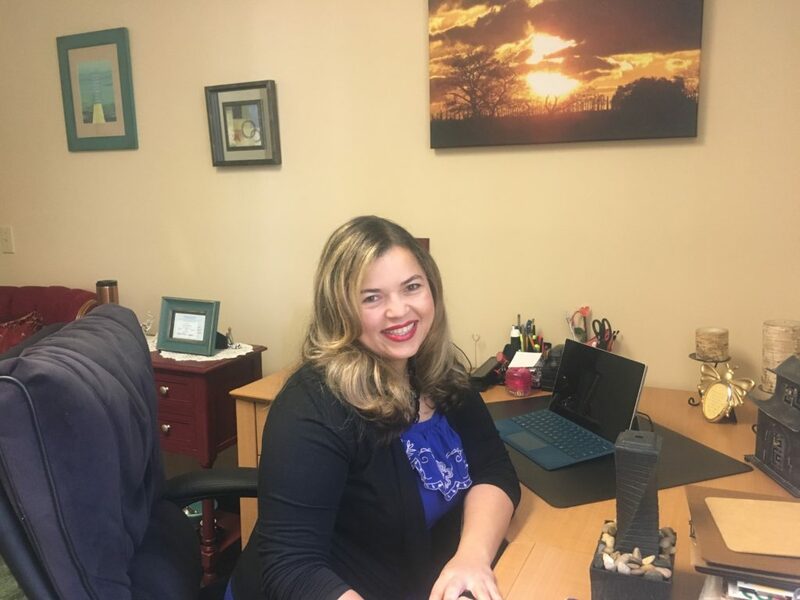 Claudia is well-known in the immigrant community for the work she developed during seven years at Family & Children’s Aid in Danbury, which concluded last May. Now, she faces a new challenge in her professional career, dedicating her full-time efforts to her private office. In her final message, Claudia asks the immigrant community to not give up on their dreams. “If you are facing a difficult time now, do not focus on it. Remember that it is temporary. Difficult moments will pass and you will reach what you wish for. Move forward attentive to the new opportunities that come in your way. Focus on your goal and do not give up on your dreams. There will always be obstacles in your path, but think that ‘it is just the present’; tomorrow is a new day. We are given a second chance every day! Claudia Brandão is psychologist specialized in marriage, family and traumas related to domestic violence. Her office is located at 57 North Street, room 223, in Danbury, CT. For more information, call (203) 395-9972 or email: claudia_braz@comcast.net.